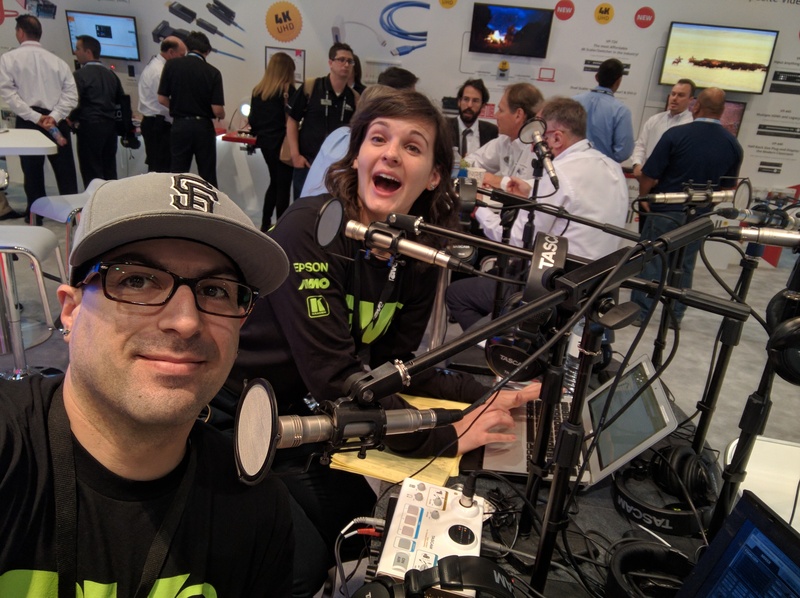 Montebello, CA—September 2016… At the June 2016 InfoComm trade show in Las Vegas, rAVe Publications reporter Johnny Mota and podcasting partner Victoria Barela were having fun, as usual. The two had set up rAVe Pubs RADIO desk and were hard at work, creating podcasts from the show floor that featured interviews with a variety of exhibitors and attendees. Key to this year’s shows was a new tool: TASCAM’s MiNiSTUDIO Creator US-42 interface.